Demonstrating the strength of its continued growth, DMCC, the authority on trade, enterprise and commodities in Dubai, today announced MODUL University Vienna will open its new and only overseas campus inOne JLT. 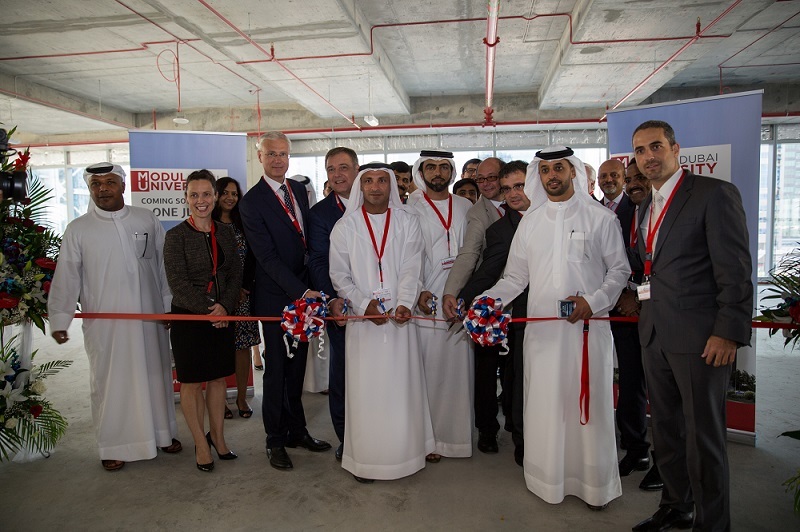 The university’s Dubai campus will occupy 21,000 square feet of the high-efficiency commercial space, comprising an entire level of the 14-floor glass box-style building. MODUL University Vienna is due to be fully operational by September 2016, with admissions being accepted from Q1 2016. Located in the heart of the DMCC Free Zone, One JLT is key to DMCC’s expansion strategy and caters to the increasing demand of large corporations and entities such as MODUL University Vienna seeking to house their entire operations in efficient, single-owner commercial space in Dubai. “One JLT is quickly becoming a complete mix-use community further enhancing the dynamic and high performing atmosphere that defines the entire DMCC Free Zone today. “Having MODUL University Vienna on board also highlights the beauty of One JLTs large floor plates where opportunities are endless and reflects the all-encompassing environment our Free Zone has become – a place where people live, work and learn. The Dubai campus of MODUL University Vienna in One JLT will be the first branch of an Austrian private university outside Europe, and will offer undergraduate, graduate, and MBA degree programmes for up to 400 students. In addition to the food and beverage offerings that will cater to the bustling urban community at One JLT, additional commercial facilities will include a DMCC branch of Abu Dhabi Commercial Bank and One Business Centre, providing a range of office solutions that a business hub requires. Featuring a distinctive glass box design and overlooking the 55,000 square-metre JLT community park, the development is being built to LEED Gold certification, integrating energy and water efficiency and sustainable design, whilst delivering improved occupant comfort, performance and user experience. One JLT is in walking distance to the metro station, within arm’s reach of prime residential and cultural amenities, and within 20 minutes of the new Al Maktoum International Airport.